In July 2012, the EU ordered its financial institutions to stop doing business with Iran, coming soon after an oil embargo, the move made buying, insuring and paying for the country’s big export earner – crude oil, increasingly difficult. Despite the defiance of the Ayatollahs, who insist the sanctions will fail, both moves proved to be damaging to the Iranian economy and crude exports have dropped to 1.5 million barrels a day in 2012, down from 2.5 million the year before. But the Iranians have not been idle in trying to protect their economy, and whenever restrictions are placed on trade, there is money to be made by sanction busters who can circumnavigate the authorities. 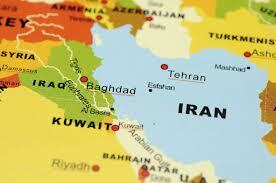 With the traditional money markets of Milan, Frankfurt and London closed off to Tehran, attention moved closer to home. Enter Dubai. The city has long had strong Iranian connections, but these rapidly multiplied as businesses were set up and expanded to provide a front for laundering Iranian funds and for re-exporting goods to neighbouring countries like Pakistan and India to hide their true origin. Typically a business would import goods with Dubai listed as the final destination, before smuggling the goods across the Strait of Hormuz into Iran, while hiding their final usage. Other companies devote themselves to relabeling and reflagging oil shipments in the Persian Gulf so it appeared they came from another country, other than Iran. The US fought back, pressurising the government to close down some of the front businesses. This in turn forced the Iranians and the Dubai businessmen to become more creative, setting up ever more complex methods to hide money and trade transactions. Using parallel accounts along with layers of shell companies to move assets and complicate paper trails in order to disguise their true purpose. The city is also surrounded by conflict zones, where wealth has been made, but is not suitable to store. Ransom cash made by Somali pirates is of little use in a war zone, there are few banks to keep it safely and nowhere to invest it, hence the preference of pirates to move their modern day “treasure” to Dubai, where it can safely banked with few questions asked and then invested in real estate, gold or the many other investment opportunities offered by Dubai. It’s the same story for nervous Pakistani businessmen and officials, worried about losing money in their unstable homeland, or newly minted Russian Mafioso, who want a beachside apartment and a safe place to hide their cash, without the risk of government interference. The city has reached a heady mix of respectability and anything goes laissez-faire attitude, free trade combined with an increasingly complex financial infrastructure, which make it perfect for moving, hiding and enjoying ill-gotten riches. The city is a playground for the wealthy, its entire philosophy geared towards servicing every need of the new rich. The Emirate’s stability and sophistication continue to attract the legitimate and illegitimate rich, whose continued investment help to sustain investment in the city, helping to reinforce its position as a trading hub and financial centre. However, as Dubai’s stature as a financial sector grows, so will the authority’s concern that a major money laundering scandal will ruin its reputation. The Dubai Financial Services Authority which polices the Dubai International Financial Center that houses many foreign financial firms has stepped up its efforts to detect suspicious transactions and increased resources to fight financial crime.